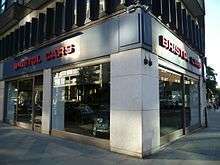 Bristol Cars is a manufacturer of hand-built luxury cars headquartered on Kensington High Street, London, England. Bristol Cars is the last remaining descendant that retains the original name of the Bristol Aeroplane Company, a major aircraft manufacturer that at one point employed well over 50,000 people. After the Second World War, the Car Division of the Bristol Aeroplane Company was formed, later becoming Bristol Cars Limited. Unlike most speciality automakers, Bristol does not court publicity and has only one showroom, on Kensington High Street in London. Nevertheless, the company maintains an enthusiastic and loyal clientele. Bristol has always been a low-volume manufacturer; the most recent published official production figures were for 1982, which stated that 104 cars were produced in that year. The company suspended manufacturing in March 2011, when administrators were appointed and 22 staff were made redundant. In April 2011, the company was purchased by Kamkorp. Since 2011, the company has been restoring and selling all models of the marque while a new model was being developed. The company returned to the automotive business in 2015 with an all-new model, called the Bullet, initially dubbed "Project Pinnacle". The car was first revealed to the public on 26 July 2016, and production will begin the following year. The British aircraft industry suffered a dramatic loss of orders and great financial difficulties following the Armistice of 1918. To provide immediate employment for its considerable workforce, the Bristol Aeroplane Company undertook the manufacture of a light car (the Bristol Monocar), the construction of car bodies for Armstrong Siddeley and bus bodies for their sister company, Bristol Tramways. On the outbreak of World War II, Sir George Stanley White, managing director of the Bristol Aeroplane Company from 1911–1954, was determined not to suffer the same difficulties a second time. The company now employed 70,000 and he knew he must plan for the time when the voracious wartime demand for Bristol aircraft and aircraft engines would suddenly end. The company began working with AFN Ltd, makers of Frazer Nash cars and British importer of BMWs before the war, on plans for a joint venture in automotive manufacture. As early as 1941, a number of papers were written or commissioned by George S. M. White, Sir Stanley’s son, proposing a post-war car manufacturing division. It was decided to purchase an existing manufacturer for this purpose. 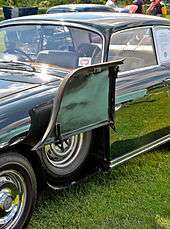 Alvis, Aston Martin, Lagonda, ERA and Lea-Francis were considered. A chance discussion took place in May 1945, between D. A. Aldington, a director of Frazer Nash then serving as an inspector for the wartime Ministry of Aircraft Production (MAP), and Eric Storey, an assistant of George White at the Bristol Aeroplane Company. It led to the immediate take-over of Frazer Nash by the Aeroplane Company. Aldington and his two brothers had marketed the Fraser Nash BMW before the war, and proposed to build an updated version after demobilisation. This seemed the perfect match for the aeroplane company’s own ambitions to manufacture a high quality sports car. With the support of the War Reparations Board, H. J. Aldington travelled to Munich and purchased the rights to manufacture three BMW models and the 328 engine. By July 1945, BAC had created a car division and bought a controlling stake in AFN. A factory was established at Filton Aerodrome, near Bristol. George White and Reginald Verdon-Smith of the Aeroplane Company joined the new Frazer Nash Board, but in January 1947, soon after the first cars had been produced, differences between the Aldingtons and Bristol led to the resale of Frazer Nash. The Bristol Car Division became an independent entity. Bristol Cars was sold after its parent joined with other British aircraft companies in 1960 to create the British Aircraft Corporation (BAC), which later became part of British Aerospace. The car division originally merged with Bristol Siddeley Engines, and was marked for closure, but was bought in September 1960 by George S.M. White the chairman and effective founder. White retained the direction of the company, but sold a forty per cent shareholding to Tony Crook, a leading Bristol agent. Crook became sole distributor. In September 1969, only a month before the unveiling of the new Bristol 411 at the Earl’s Court Motor Show, Sir George White (as he had become) suffered a serious accident in his Bristol 410. The car was only superficially damaged, but he suffered severe trauma. As time passed it became clear that he would never regain his health sufficiently to return to full-time work. To safeguard the future of his workforce, he decided in 1973 to sell his majority shareholding to Crook. As the ties with the White family were severed, British Aerospace (successors to the Bristol Aeroplane Company) requested the company to move its factory from Filton Aerodrome and it found new premises in nearby Patchway. The showroom on Kensington High Street became the head office, with Crook shuttling between the two in Bristol's light aircraft. Under Crook's direction the company produced at least six types, the names of which were largely borrowed from Bristol's distinguished aeronautical past: the Beaufighter, Blenheim, Britannia and Brigand. In February 1997, Crook, then aged 77, sold a fifty per cent holding in Bristol Cars to Toby Silverton, with an option to take full control within four years. Silverton, then son-in-law of Joe Lewis of the Tavistock Group and son of Arthur Silverton of Overfinch, joined the board with his father. 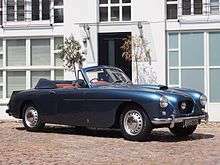 Crook and Toby Silverton produced the Speedster, Bullet and 411 Series 6, though 2002 saw the transfer of Bristol Cars fully into the ownership of Silverton and the Tavistock Group, with Silverton in the chair and Crook remaining as managing director. Together they developed a two-seater V10 named after the first Sir George White’s world-famous First World War two-seater aircraft, the Bristol Fighter. Crook finally relinquished his connection with Bristol Cars in August 2007. In March 2011, it was announced that Bristol Cars had been placed into administration. Rescue came in April 2011, in the form of Frazer-Nash Research. 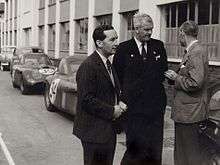 HJ Aldington, a director of the Bristol Aeroplane Company affiliated AFN (BMW's pre-war concessionaire in the UK), used his British Army connections to visit the bombed BMW factory in Munich several times post-war. In 1945 he took plans for BMW cars back to Britain, and BMW chief engineer, Dr. Fritz Fiedler was also employed. Its first car was the Bristol 400, prototyped in 1946 and introduced at the 1947 Geneva Motor Show. Derived from immediately pre-WW2 BMW products (thanks to a connection to BMW through Frazer Nash), the chassis was based on the BMW 326, the engine on the 328, and the body on the 327. Even a variation on the famous double-kidney BMW grille was retained. Bristol, however, did a thorough examination of the car's handling and ended up with performance "only matched by outright purpose-built competition cars". Seven hundred of the Bristol 400 were built, 17 of which received "handsome" drophead bodywork from Pininfarina. In 1949, the 400 was joined by the five-place 401. Bodied by Touring, it was aerodynamically sleeker, accelerated better, and had higher top speed. It was joined by the drophead 402, of which just 24 examples were built. The 403 followed in 1953, which featured improved brakes, gearbox, dampers, heater, and engine (a detuned racing motor, in fact). Bristol would use this same engine in the 450, entered at Le Mans in 1953; it broke its experimental crankshaft, but despite being less than aerodynamically ideal proved fully five seconds a lap quicker than the competition. Bristol withdrew from racing two years later. Along with the 403 was the 404, on a shorter wheelbase, with a more powerful engine and styling reminiscent of the 450. The 404 introduced a concealed front wing-mounted spare wheel and battery. It was built to extremely exacting standards, and the price reflected it; this, plus newly introduced "punitive taxation", meant only 40 were produced. The 405, which entered production in 1954, was much more successful, not least for being Bristol's only four-door. It remained in production until 1958, with 297 saloons and 43 drophead coupés produced in all. Bristol debuted the 406 in 1958, and it remained in production until 1961. The 406's replacement, the 407, was powered by a 5.2 litre V8 provided by Chrysler of Canada. It was followed in 1963 by the 408, with drastic restyling as well as improved suspension. This was succeeded by the 409. Many buyers preferred the crisp steering and gearbox of the earlier six-cylinder cars. The 410, introduced in 1966, was a return to the high-performance touring tradition, offering the same top speed as the 409, and superior acceleration, with the same powerplant. It also saw Bristol become a private company and marked a return to quality to the exclusion of output: no more than three cars a week were to be made. In 1969, the Bristol 411 appeared, with a new 6.2 litre Chrysler V8 (still rebuilt and modified by Bristol, as before) delivering higher top speed and even better acceleration. Until 1961, all Bristol cars used Bristol-built derivatives of the BMW M328 2-litre six-cylinder engine. These engines also powered a number of sports and racing cars, including all post-war Frazer Nashes (apart from a few prototypes), some ACs, some Lotus and Cooper racing cars, and several others. In 1961, with the launch of the Bristol 407, the company switched to larger Chrysler V8 engines, which were more suitable for the increasingly heavy cars. All post-1961 Bristols, including the later Blenheim and Fighter models, used Chrysler engines. On 3 March 2011 it was announced that Bristol Cars had gone into administration, with the immediate loss of 22 jobs. On 21 April 2011 the company was purchased by Kamkorp, which also owns Frazer-Nash Research, a manufacturer of electric vehicles. The acquisition could thus be presented as a reunion of two great names of British motoring, despite there being no connection with the original Frazer Nash car company. In 2014 Bristol Cars announced the development of a new model codenamed "Project Pinnacle". Initial reports indicated it would be a petrol-electric hybrid with a petrol engine from BMW. However a later media report and a May 2015 press release indicated that the car would have non-hybrid V8 power. The car, a 2-seater roadster, made its first public appearance, slightly camouflaged, at the Goodwood Festival of Speed in June 2016. In July the car was shown undisguised, technical details were announced, and its name given as Bristol Bullet. It is powered by a normally aspirated BMW V8 engine of 4.8 litres and 370 bhp driving the rear wheels, has a body of carbon fibre, weighs 1130 kg, and will cost £250,000. The planned production run is 70. The company states that the car is a precursor of future range-extender electric vehicles. 1 2 "Die wundersame Welt von Bristol". Auto Bild (in German). 6 January 2008. Retrieved 16 May 2008. ↑ "Supercar Supermarket: BRISTOL FIGHTER – Feature". Car and Driver. January 2001. Retrieved 16 May 2008. ↑ Lösch (1984), p. 402. ↑ "Bristol Cars announces 22 staff redundancies". BBC News. 4 March 2011. Retrieved 4 March 2011. 1 2 "Bristol Cars bought by Kamkorp Autokraft". BBC News. 21 April 2011. Retrieved 21 April 2011. ↑ "Bristol Cars". Bristol Cars. Retrieved 8 October 2013. ↑ Jenkins, Alex (18 July 2016). "Bristol Cars to make comeback with new Bristol Bullet". Auto Express. Retrieved 18 July 2016. 1 2 Lawrence (1991), p. 58. 1 2 "The Bristol Cars Story". 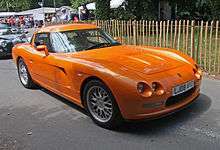 Bristolcars.co.uk. Retrieved 13 March 2015. 1 2 Rob de la Rive Box. "Encyclopaedia of Classic Cars: Sports Cars 1945-1975". Books.google.com. p. 64. Retrieved 2016-08-17. 1 2 3 4 Setright (1978), p. 233. ↑ "Farewell Tony Crook: Racing driver and ex-Bristol Cars owner dies at 93". Bristol Post. 19 February 2014. Retrieved 13 March 2015. ↑ Setright (1978), p. 232. ↑ Setright (1978), pp. 232–3. ↑ Setright (1978), pp. 233–4. 1 2 3 Setright (1978), p. 234. 1 2 3 4 Setright (1978), p. 235. ↑ "Bristol Cars goes into administration". BBC News. 3 March 2011. Retrieved 3 March 2011. ↑ Pollard, Tim (2015-06-02). "Bristol Cars is back with new 2015 Pinnacle model by CAR Magazine". Carmagazine.co.uk. Retrieved 2016-08-17. ↑ "Bristol previews new Project Pinnacle anniversary car". Autocar.co.uk. Retrieved 2016-08-17. ↑ "PRESS RELEASE : BRISTOL CARS CONFIRMS POWERTRAIN FOR 70th ANNIVERSARY PROJECT PINNACLE" (PDF). Bristolcars.co.uk. Retrieved 2016-08-17. ↑ "Bristol Bullet to be precursor of electrified models". Autocar.co.uk. Retrieved 2016-08-17. Lawrence, Mike (1991). A to Z of Sports Cars. Bay View Books. ISBN 1-870979-81-8. Lösch, Annamaria, ed. (1984). World Cars. Herald Books. Setright, L. J. K. (1978). Northey, Tom, ed. Bristol: A Quiet Touch of Class. World of Automobiles. 2. Phoebus. Wikimedia Commons has media related to Bristol vehicles.